I am the night, I am looking for a good parking space. The other day, Warner Brothers announced that the next Batman game, Arkham Knight, was not going to be handled internally, like the tepidly received Arkham Origins, but instead returned the reins to the developers that made the series famous, Rocksteady. Rocksteady, now the prodigal son of the Batman: Arkham Noun games, worked on Batman: Arkham Asylum, which was hailed as the best licensed game ever, and the the inventor of the coolest new genre: Batman Simulator. Their follow up, Batman: Arkham City was similarly well-received, though some fans found the new open world mechanics to miss the point of the fantastically well-directed, almost metroidvania style approach that Asylum took. Origins, of course, upped the ante with a bigger world, but it was also a buggy mess, and now that there's a proper heir to the throne, people are beginning to toss out the now-evident pretender. So, what do Rocksteady and WB choose to highlight with their announcement? What does the prodigal son's return bring to the fans? Asylum featured groundbreaking for the time advanced locker technology. Well, a pretty slickly produced CG-trailer, which had to cost at least a million dollars, two and a half million, tops. They aren't messing around with this, Batman is their money maker. Which means they also have their pre-order DLC lined up in a row. "Buy early and you can play as Harley Quinn," they yell, like some sort of demented carny barker trying to fleece you out of your hard-earned dimes. "You've gotta pay extra if you buy the game used!" Other than the fact that the game's budget is likely pretty high, when you factor in that trailer as indicative of their marketing budget, and the cost of the Batman license (if WB has to pay it at all). The game is expensive, is what I'm saying, to the point where they have to sell you a feature-missing version of the game if you buy it used. 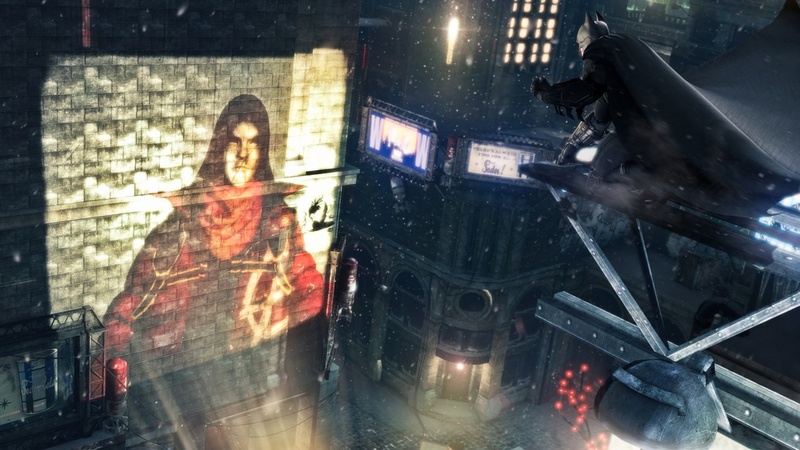 The only other thing we know about the game is that it will feature the "entirety of Gotham City." Batman's looking for a good room for a good price. Expanding the world is a logical choice, all things considered. Arkham Asylum featured a small island to explore, which was ramped up to a slice of walled-off Gotham in Arkham City, and now, finally, we get the full Batman experience, swinging across the rooftops of Gotham and driving down the streets in the Batmobile. 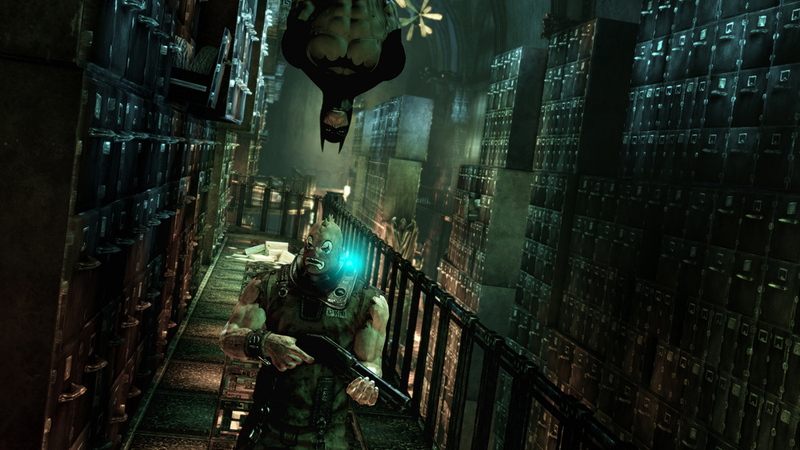 The problem is that Arkham City was already sort of empty and boring at times, what happens if we make it even bigger? 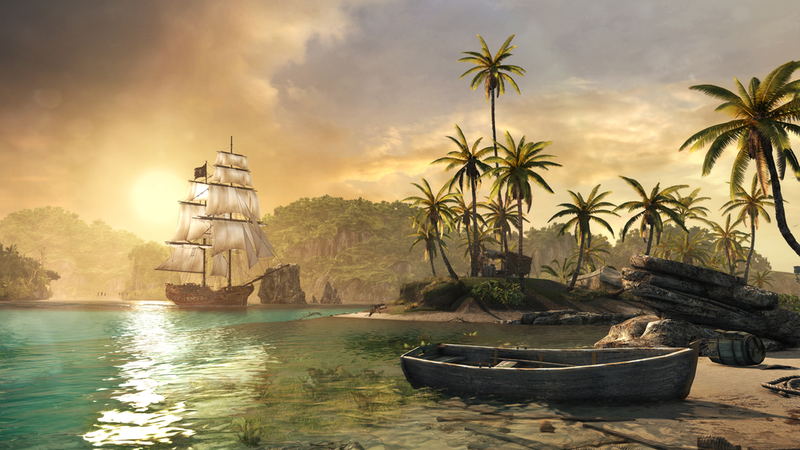 You could almost think of "bigger is better" as the adage that drives AAA gaming these days. Assassin's Creed started with separate levels, then moved to an open world, each one having to be exponentially larger than the last in order to justify its existence. At a preview event, I played Assassin's Creed IV on a ludicrously sized television, and the map was still so huge it boggled my mind. Of course, it was mostly water, but that's still size. When you have an open world, the easiest way to tell consumers that your sequel is going to be better is to tell them the world is going to be bigger, and that's exactly what WB and Rocksteady are doing. Arkham Originsfeatures some of Batman's most famous rogues! Like Black Mask, and uh...Copperhead! And....this guy in a hood. Far be it from me to throw them any shade on this though. I loved both of Rocksteady's Batman games, and even though I preferred Asylum, City's open world was a pretty cool idea to toss in. And, of course, "bigger" is what moves copies. I will throw shade on ALREADY having pre-order DLC, but that's an entirely different article. But, the bigger-is-better mentality behind Arkham Knight is not only worrying, but indicative of a larger problem in modern, AAA game making. 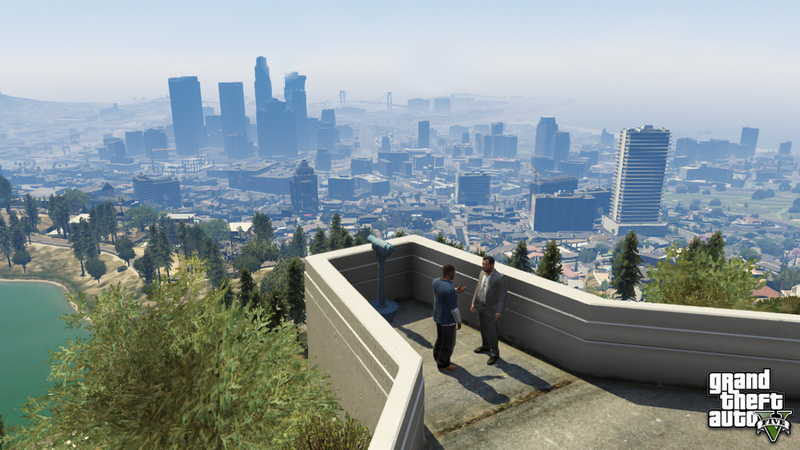 Every game features an open world these days, mostly because Grand Theft Auto sells well. Assassin's Creed went open world, Tomb Raider went open world, Saint's Row's entire existence is proof that "crime focused open world game" is a genre distinction now that GTA is the most popular thing going. In fact, it's almost a self-fulfilling prophecy. Grand Theft Auto sells well, thus more games feature open worlds, thus more open world games sell well, which makes publishers think that open world means good sales, thus more sequels with open worlds are developed and so on and so forth until the heat death of the universe. A huge world of water. And more water. Didn't people hate this in Wind Waker like a decade ago? Of course, that's not only true of open worlds, but when you make a game in the other most popular game genre going right now, first person shooters, you can't really rely on having "more guns" as your big sequel sales hook. A bigger world is a tangible thing people always want, without necessarily worrying about the consequences. If open worlds are your jam, then of course you want a bigger one. More places to explore, more ways to get around, more NPCs to brutalize in new, unexpected ways, it's pretty much everything you want from an open world sequel. Look, if you just read that paragraph over there, this would make a lot more sense. The problem is that most of the time, they just end up diluting the formula. If the core gameplay, the moment-to-moment things you're doing in a game is like chocolate syrup, you want a glass of chocolate milk. There needs to be some milk in there, so you aren't just pouring syrup into your mouth. Think of the milk as the world, the details that embellish a game. The game does need to be a little deeper than just a core idea, after all. But when you start adding too much milk, you start to lose the flavour. You can barely taste the chocolate syrup anymore, and all you really have is vaguely brown milk. Then you add even more milk and the cup overflows and you've just made a whole mess of the kitchen. Clean this up, right now. I may have lost the thread at the end there, but the idea is, the bigger your world gets, the less likely it is to properly highlight the core gameplay of the world, and the more likely it is to feel bland and empty. When there’s so much negative space between missions and side quests, you find yourself just running between things, doing a whole lot of nothing for minutes at a time. The Batman games have a pretty neat grappling and gliding mechanic, but even that gets old. Saint’s Row IV let me leap over buildings, run faster than any car, and BASE jump to my targets from the top of the world, and I still got bored of getting from point A to point B. I suppose that it makes me appreciate it more when I’m actually playing the game, but that’s like saying it would be harder if you chopped off my thumbs, it’s illogical. The best excuse for an open world, in my mind, is atmosphere. I love Shadow of the Colossus’ big empty world because it’s so eerie and beautifully designed, not because I have to spend 10 minutes running from the central temple to the Colossus each time I’m itching for a fight. But, the bigger your world is, the less time and money you have for details. Saint’s Row IVs city is huge, but it’s also sterile. The same billboards show up again and again, building interiors, for the ones that even have such a thing, are bland and boring. Most of the skyscrapers and houses are the same stock model with slight alterations. You don’t notice it, because you don’t really slow down to look at the world at all, but take a look. It’s not because the developers are lazy, it’s just a symptom of having such a huge world to develop. They can’t make a million unique houses, they don’t have that kind of time or money. No one does. Well, Rockstar does, considering GTA V took five years to make and cost more than $150 million after you deduct advertising costs from the budget. But they’re the glorious exception. They can have huge detailed worlds because they have both the time and the money that no one else could even dream of. Look at Shenmue. That game cost $47 million in 1999, making it the most expensive game ever developed at the time, and ninth on Wikipedia’s list of the most expensive games ever developed. Shenmue’s open world was tiny, but incredibly detailed, with little things like drawers you could open, and other tiny, almost unnoticeable background features. Of course, GTA III came out just a short while later and blew it out of the water with it’s comparatively massive world. It was cheaper, bigger, wasn’t delayed nearly as many times as Shenmue, and far more successful. Bigger is better. Detail is the enemy of budgets and release schedules. But bigger isn’t better, is it? The world is big but empty and lifeless. The world takes hours to trek across, but those are hours you aren’t actually playing the game. The world is bigger than ever before, but every building looks the same, and the NPCs mull about pointlessly like they always have. A bigger world isn’t a bad idea per se, but if it’s your priority over actually making the gameplay more interesting, or the existing world more detailed and interesting to explore, you’re just feeding the problem. 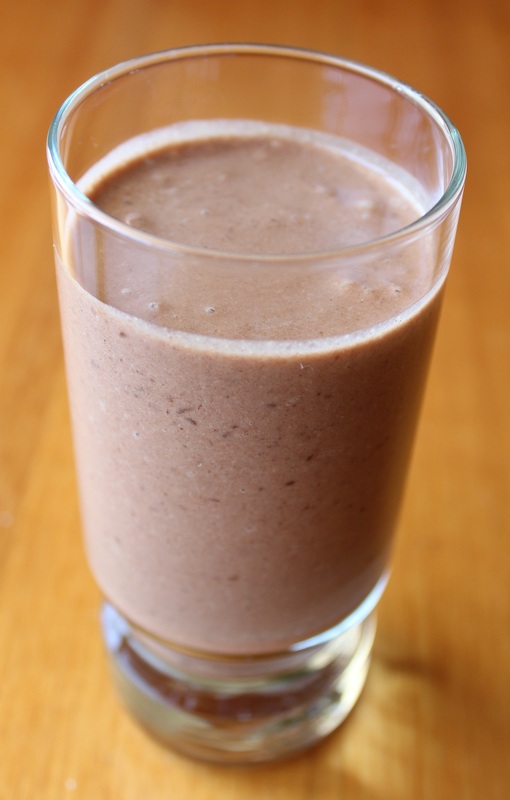 There’s no innovation in getting bigger, you’re just diluting the chocolate milk. And eventually, it’ll get to be so bland that no one’s going to want to drink it. 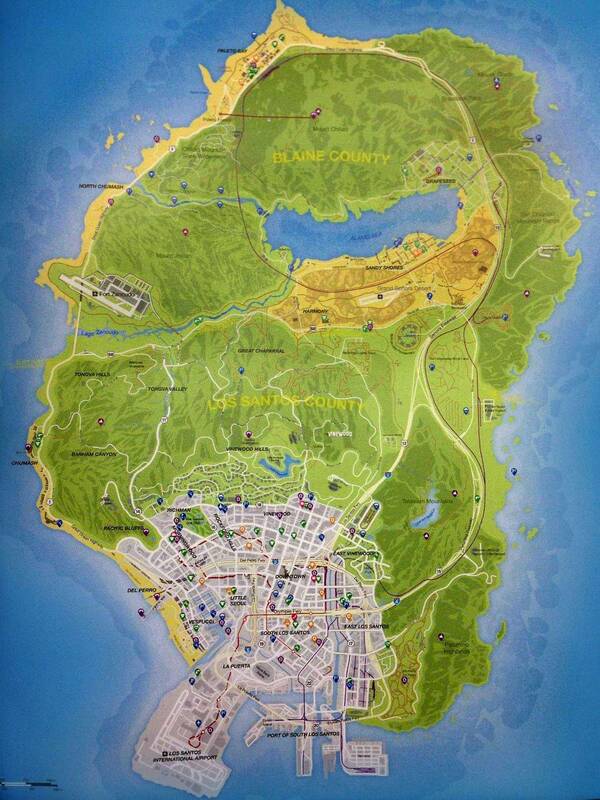 Posted in Op-Ed, Why Open World?